Today I have a teaser and a giveaway to share with you. 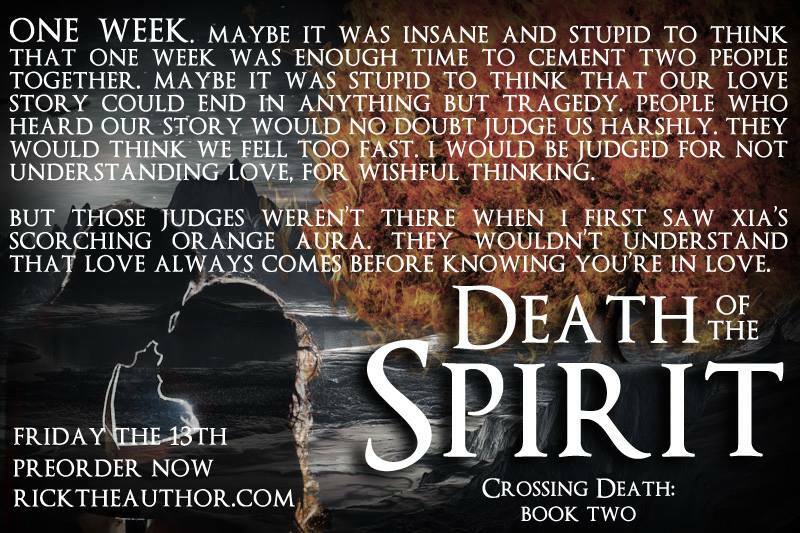 The teaser is from Death of the Spirit by Rick Chiantaretto. This is book two in the Crossing Death series. Make sure to check out the giveaway too! Click here to enter the giveaway of four signed paperbacks. I grew up in a world of magic. By the time I was ten I understood nature, talked to the trees, and listened to the wind. When the kingdom of men conquered my town, I was murdered by one of my own—the betrayer of my kind. But I didn’t stay dead. 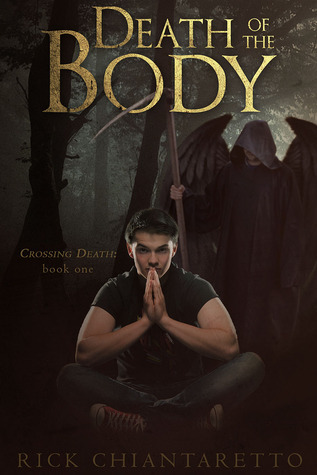 Death of the Body is free right now on Amazon! This Friday the 13th you can join the release party with prizes on Facebook. 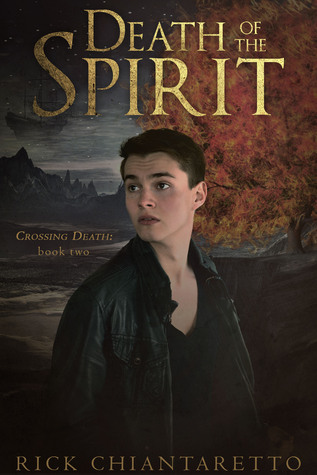 This entry was posted in Book News, Dark Fantasy, Fantasy, Giveaways, paranormal, Teaser and tagged Book news, Dark Fantasy, fantasy, Giveaways, paranormal, teaser.